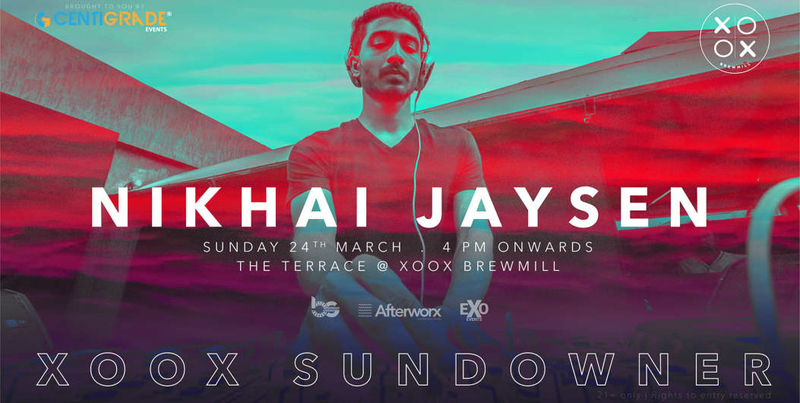 XOOX Sundowners this Sunday at Bangalore's finest Microbrewery. We got the evening going with melodic Deep House & Techno on this cozy yet spacious terrace to end the week on a sweet note. Venue: XOOX Brewmill / 4PM Onwards / 24th March. Bangalore's Leading Nightlife & Media Brand. We look forward for giving the best Clubbing, Nightlife & Media experience across India. Special Details: Event starts at 4:00 PM.